NASA’s Hubble Telescope recently discovered a friendly sign in the sky. This image was initially entered into the Hubble’s Hidden Treasures image processing competition by contestant Judy Schmidt. A ring — known as an Einstein Ring — is produced from this bending of light, a consequence of the exact and symmetrical alignment of the source, lens and observer and resulting in the ring-like structure we see here. But enough of the science. 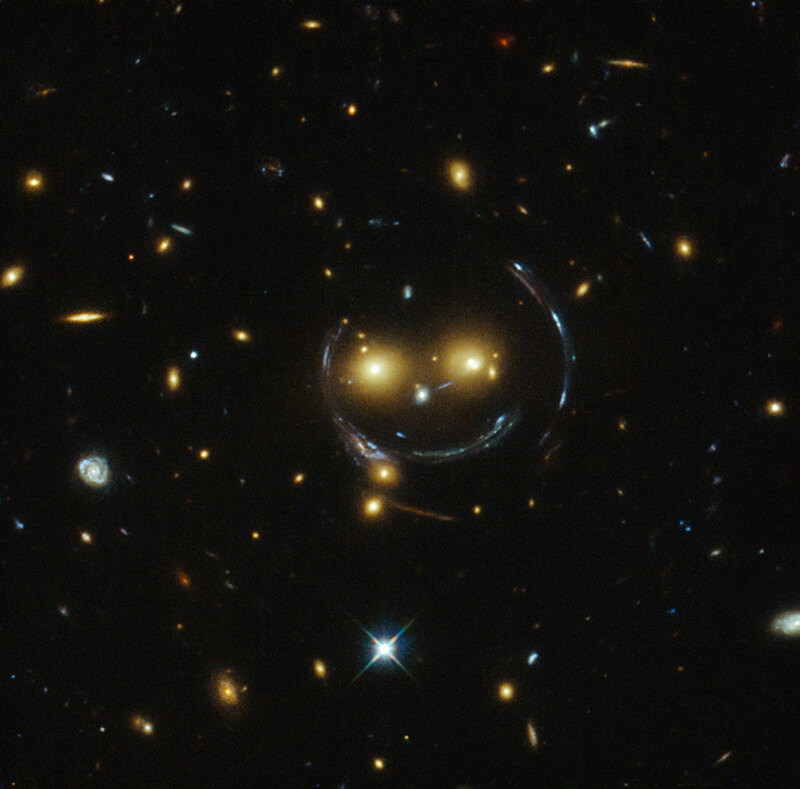 It’s best to just think of this as the Universe shooting us a quick and friendly smile.